emohr added a comment to T10747: Titler Tool - Idea task . emohr added a comment to D20184: Update Color Selection effect. I think this is the same request: https://bugs.kde.org/show_bug.cgi?id=406077. correct? emohr added a comment to T10085: Redesign - Refactored Timeline. emohr added a comment to T10511: Testing day . When I let Kdenlive for 1 hour or 2 on it's own whitout working -> timeline doesn't react anymore. that unearths another bug: the existing project has an image clip in project 1920x1080 resolution with an "alpha opertions" effect on it. It was originally set to operation: blur, threshold: 500, and amount: 3.
in refactoring it is set to operation: noop, threshold: 1000, and amount: 1000. After draggingit down the timeline, hovering over it causes the timeline to jump up again. -> we should implement a "test/checker" to avoid that. Equaliz0r and G -> no settings -> We might however hide the arrow on such effects because it is confusing. emohr added a comment to T9798: Improve capture UI. emohr closed T10369: Insert Zone –> add icon in Clip Monitor as Resolved. 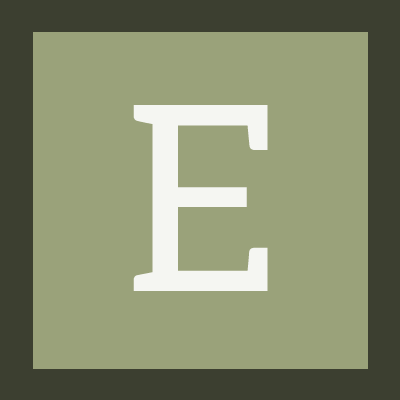 emohr added a comment to T7082: Timeline. emohr updated the task description for T10369: Insert Zone –> add icon in Clip Monitor. emohr created T10369: Insert Zone –> add icon in Clip Monitor. emohr added a comment to D18119: Add function to enlarge Configure Dialog. yup, that's what I meant. I don't saw that. For Instance: If the hard coded size exceeds 80% of the screen height set it to 80%. If the width exceeds 40% of the screen width set it to 40%. But always make it possible that the user can make it smaller or bigger as JBM wrote with the possibility to store the last settings. emohr added a comment to T10306: Keyboard Shortcuts for Effectpanel?. For not running out of shortcuts maybe we can make shortcuts per panel/window and not global. Or you detect first the screen resolution/size and with a %-variable you make the initial setting which then can be adjusted as JBM wrote. emohr closed T10287: "About Kdenlive" -> update copyright year as Resolved. emohr added a comment to T10287: "About Kdenlive" -> update copyright year. emohr created T10287: "About Kdenlive" -> update copyright year. emohr created T10286: settings -> configure window to small. emohr added a comment to T10173: Title Clip: missing fonts should not just get an empty error display. emohr added a comment to D17995: Add a line to remember file paths when uploading title clips. Hi Akhilkgangadharan. I'm not a coder. Please add Jean-Baptiste Mardelle as reviewer. Thanks. emohr added a comment to D17948: Fix typo - add missing options in profile for Screen Grab with audio recording. emohr updated the task description for T10173: Title Clip: missing fonts should not just get an empty error display. emohr created T10173: Title Clip: missing fonts should not just get an empty error display. emohr added a comment to T2908: Fix Movit NVIDIA issues. emohr added a comment to T9990: Timeline::getTracksInfo() tries to dereference null pointer. Should we do a Backport? emohr added a comment to T6545: Splash and Welcome screen. Another Idea with the old logo. emohr created T9992: Slideshow clips. Windows specific issue..
emohr created T9991: Changing effect causes "Preview rendering failed" error. emohr created T9990: Timeline::getTracksInfo() tries to dereference null pointer. emohr updated the task description for T9905: Load Title, default path is not taken from previous loaded title. emohr created T9905: Load Title, default path is not taken from previous loaded title. emohr created T9904: Add new clip, shows empty window. emohr created T9902: New function: save a copy (of the project file). emohr created T9901: Screengrab with audio broken. emohr updated the task description for T9900: Update and maintain changelog. emohr created T9900: Update and maintain changelog. emohr created T9832: Help menu, correct handbook link to WIKI. emohr added a comment to T9345: 18.20 Beta bugs. emohr added a comment to T9283: Continuous Video Thumbnails depending on height and zoom of the timeline. Thanks for take this up. emohr triaged T9283: Continuous Video Thumbnails depending on height and zoom of the timeline as Wishlist priority. emohr created T9283: Continuous Video Thumbnails depending on height and zoom of the timeline. emohr updated the task description for T9035: Pancake Timeline Editing. emohr added a comment to T1959: More sequences in the project. emohr triaged T9035: Pancake Timeline Editing as Wishlist priority. emohr created T9035: Pancake Timeline Editing. emohr added a watcher for Kdenlive: emohr.